Jacket Size (US Sizing) ? This is your base size. 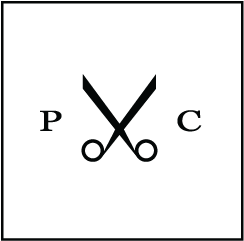 Note that we use US sizing (so for example a size 36 ~Small, a size 38 ~Medium, and sizes 40-42 ~Large. For those used to European sizing, subtract 10 from your normal size (i.e., an EU size 50 generally corresponds to an American size 40). 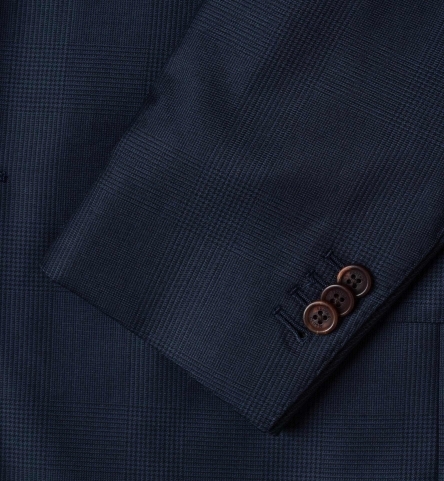 Long jackets measure 1 3/16" longer in the sleeve length and body length than Regular jackets, while Short jackets measure 1 3/16" shorter in the sleeve length and body length than Regular. 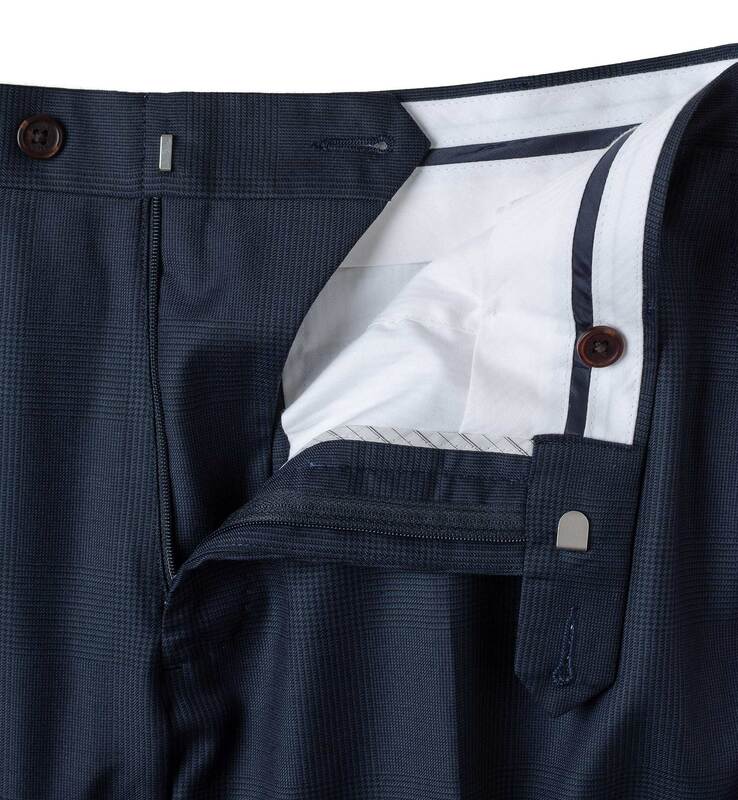 Extra Slim is a “Drop 9” fit and extremely trim around the waist. 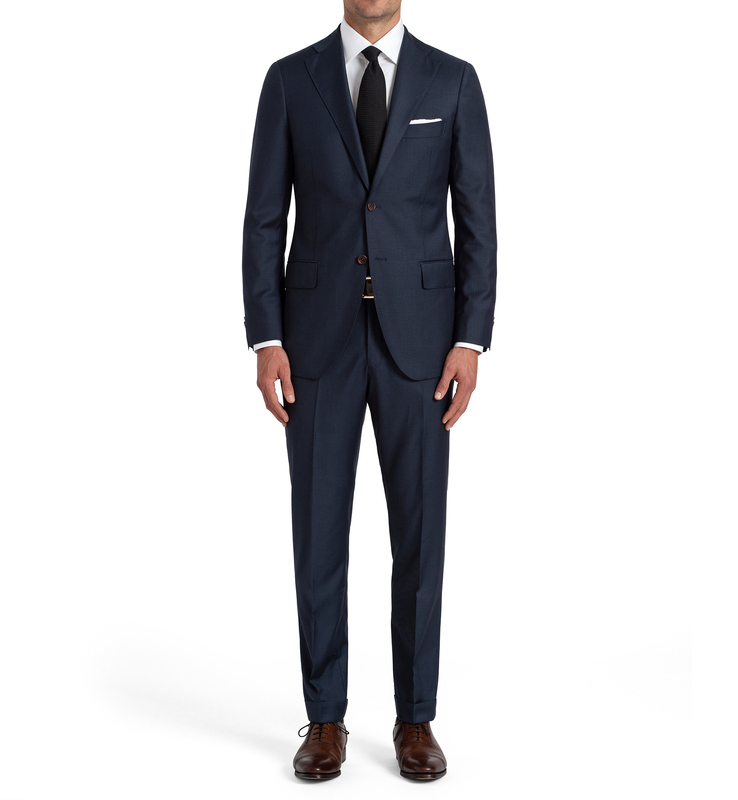 This is suggested for more muscular men with large shoulders and particularly slim waists that want a very tailored fit. 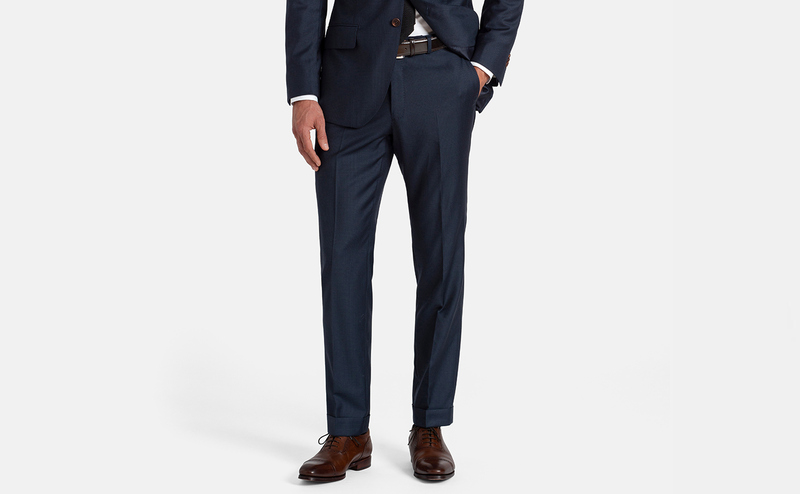 Slim is a “Drop 8” fit and our standard slim fit. 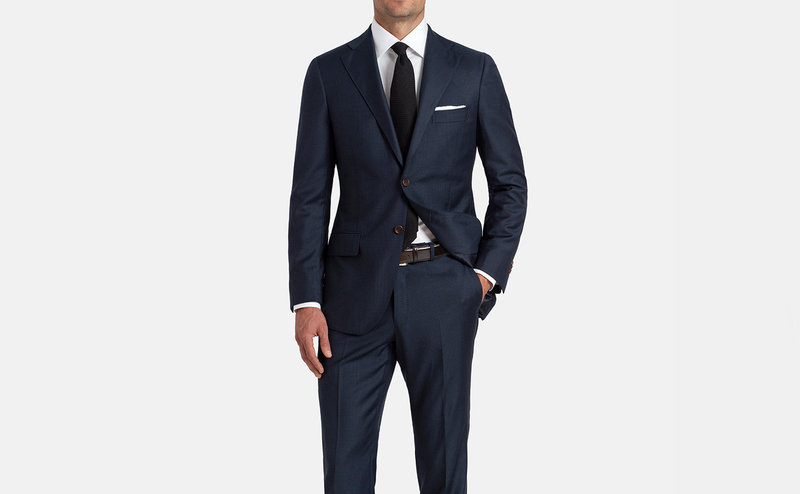 It's the same fit as our standard size Hudson jackets and suggested for guys in good shape that want a trim fit. 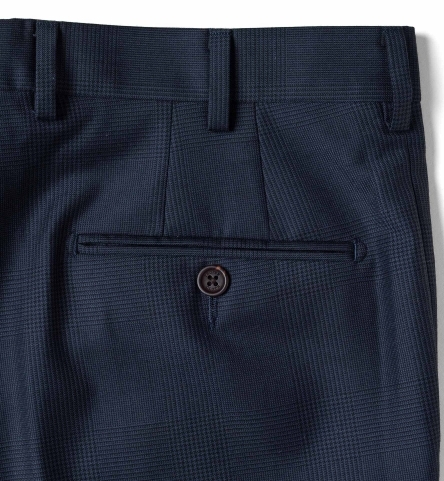 Classic is a “Drop 6” fit and a more generous, boxy cut. It has more room around the waist and is intended for guys with larger midsections. A timeless navy glen plaid suit crafted using premium Italian S110's merino wool suiting fabric from Vitale Barberis Canonico. 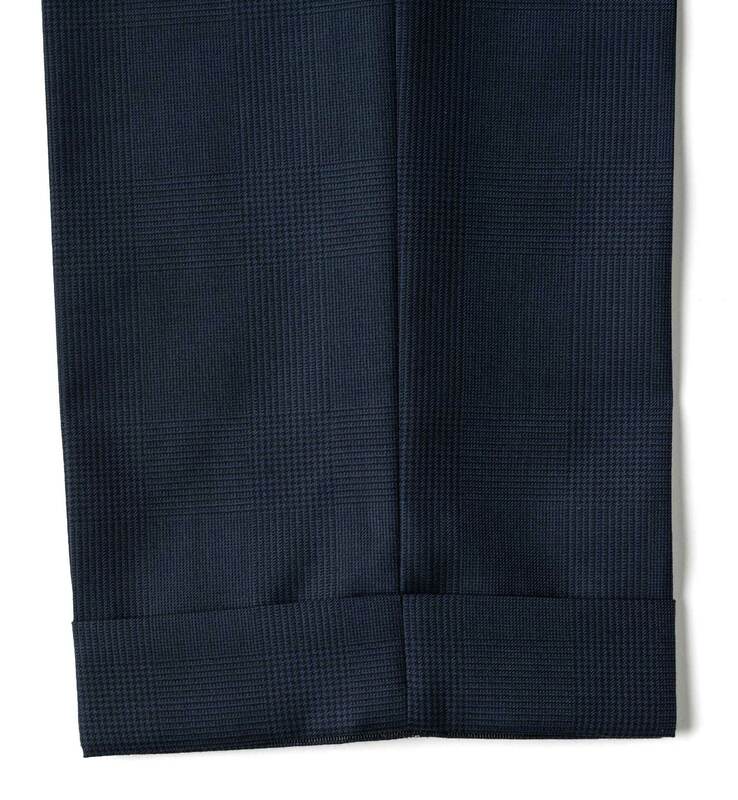 This beautiful navy wool has a tonal glen plaid pattern that gives it a bit of subtle panache while still being incredibly versatile for day-to-day wear. 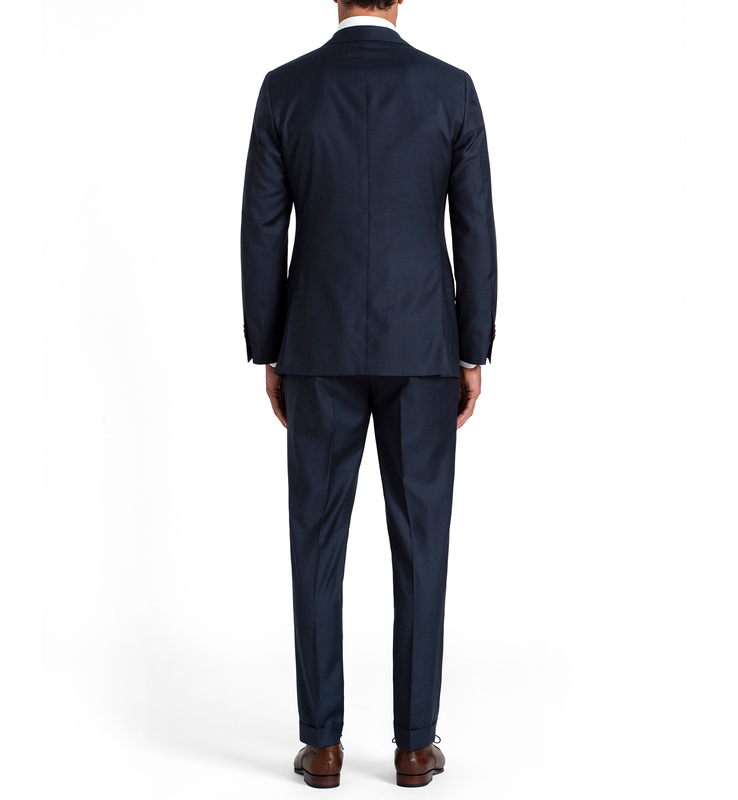 The fully lined jacket features notch lapels, a single-breasted two-button front, and convertible flap/besom pockets.The trousers feature a clean flat front, functional zipper fly, and cuffed hem. A timeless 3.5" wide lapel. 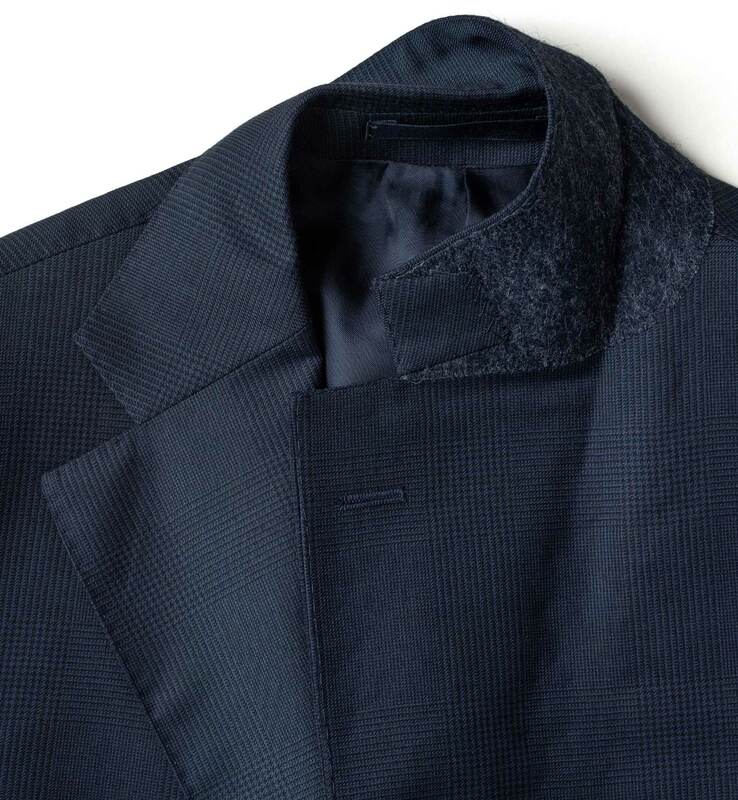 The higher notch and straight edge of the lapel give it a modern look. 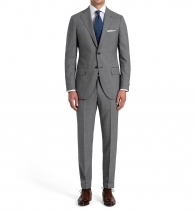 Made with a half-canvassed construction that helps the jacket mold to the body over time. Provides a clean, masculine look while still wearing comfortably. 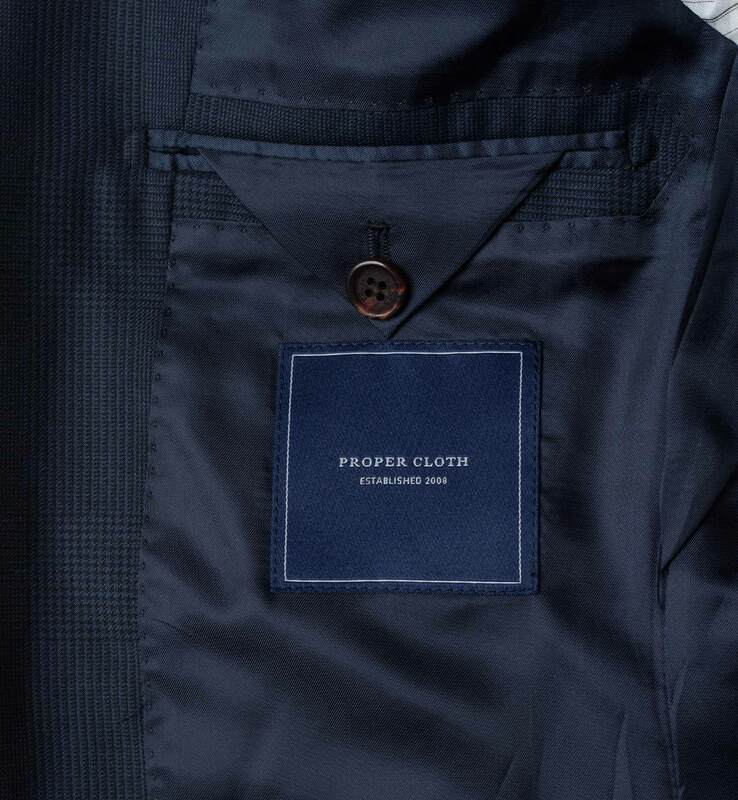 The fully lined jacket wears comfortably and is finished beautifully. We cut and finish the button holes on our sleeves as a mark of quality and attention to detail. 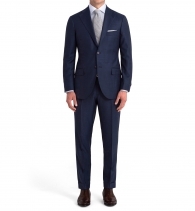 The beautiful navy glen plaid suiting fabric is from Italy's renowned Vitale Barberis Canonico mill. 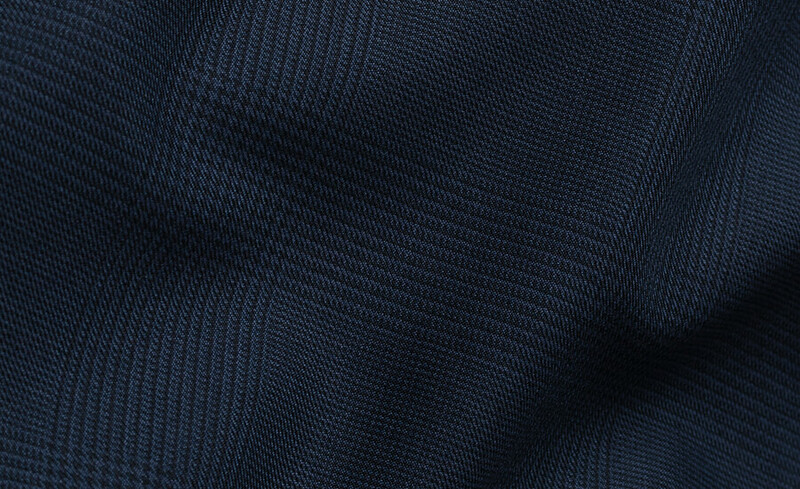 It's a four-season 270g twill, woven with S110's yarns with a luxuriously smooth feel. 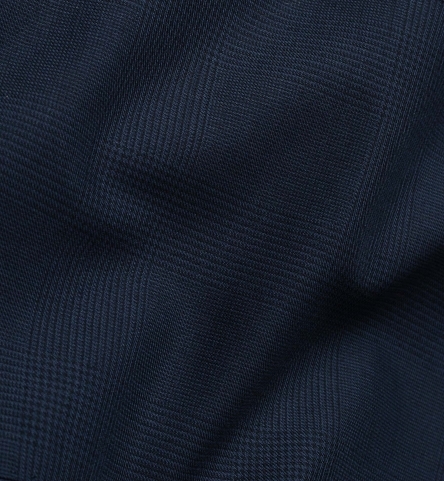 VBC has become one of the leaders in wool fabric production, with an incredible 350-year heritage of wool production in Biella, Italy. 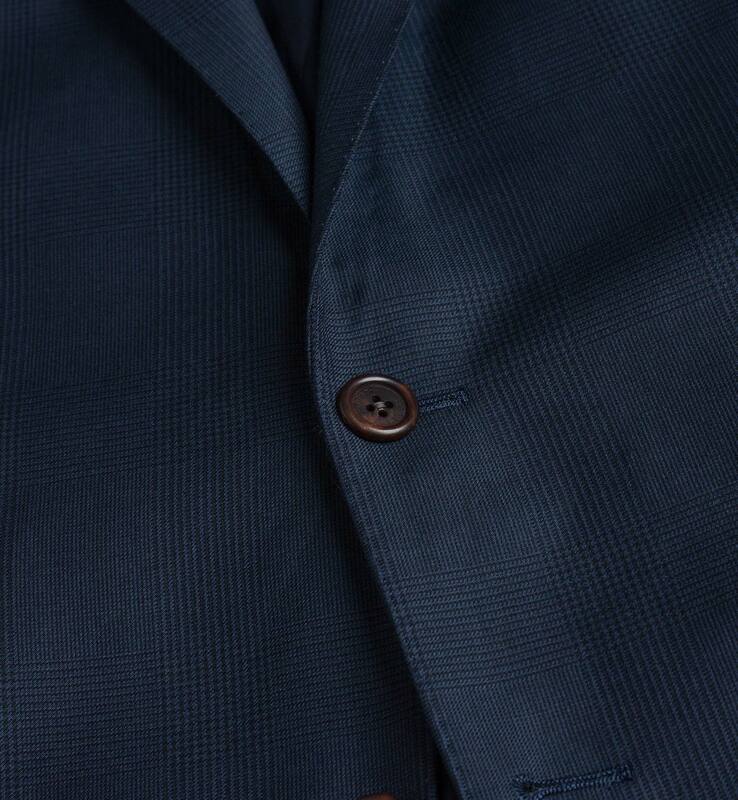 Half-canvassed jackets have a special wool canvassing that extends from the shoulder, through the lapels, and ends below the first button. 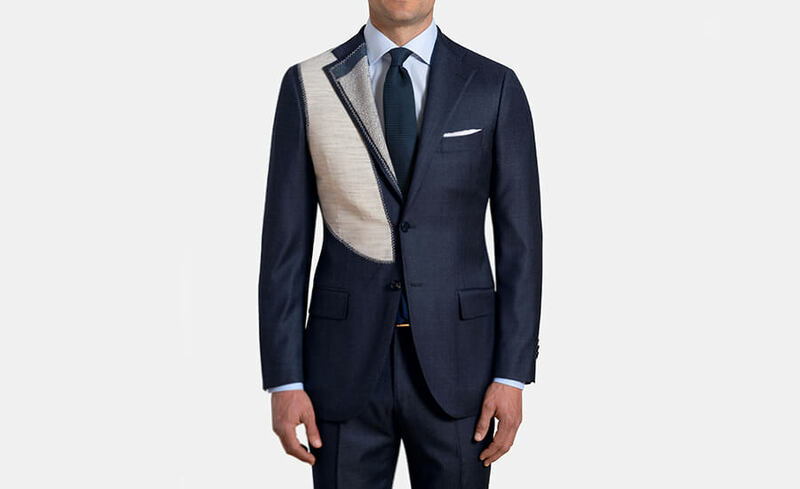 The result is a jacket that conforms to your body and fits better over time. 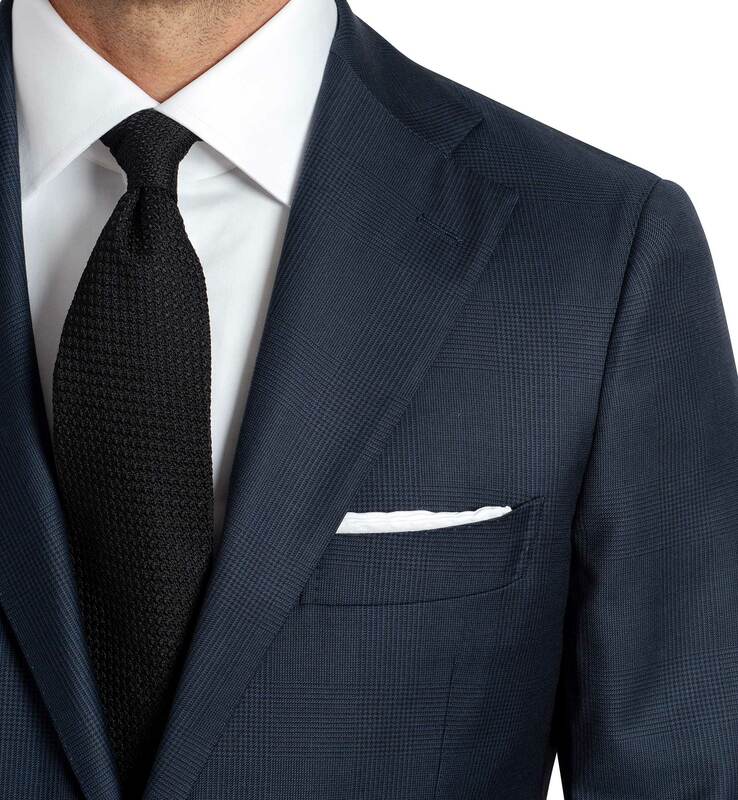 The canvassing also helps your jacket drape cleanly, which is especially important in the lapel and chest. 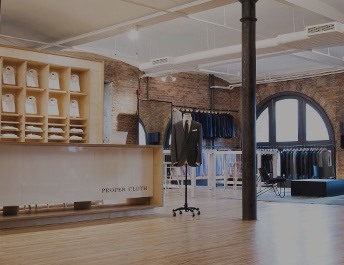 If you’re not happy with the fit of your suit you can either return it to us for a complimentary remake in a new size, or have your local tailor make alterations. 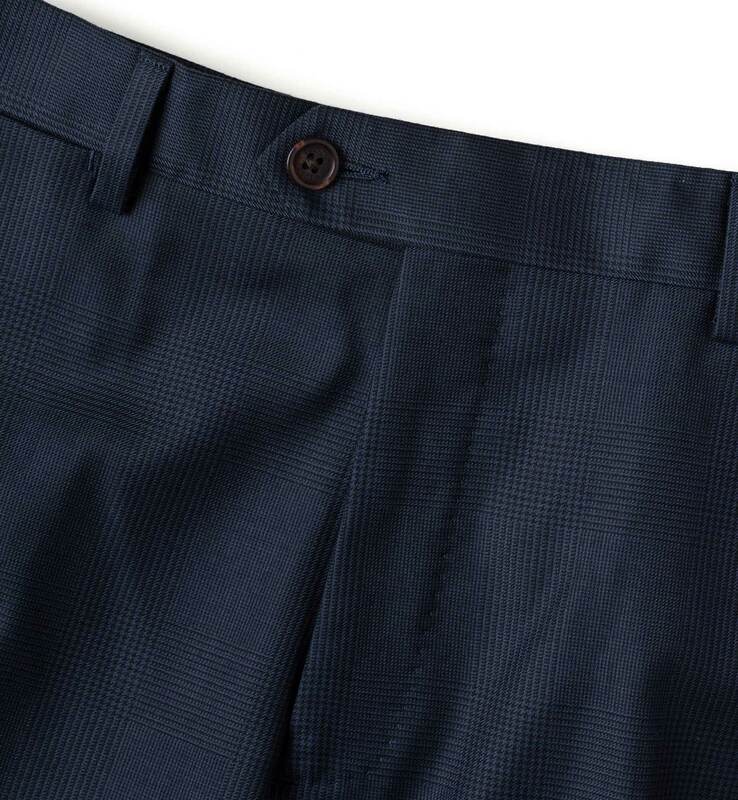 Email us a receipt for the alteration charges and we’ll credit your account or refund you up to $125 for the changes. 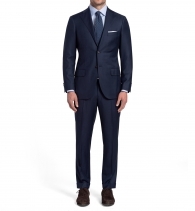 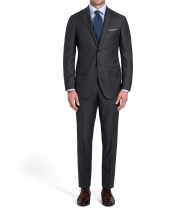 Alternatively, if the suit is unused and unaltered, you may return it to us for a full refund within 90 days.